A small batch whiskey that takes it's name from the events surrounding the famous Dublin whiskey fire of 1875. This is a blend of grain and malt whiskey that has been aged in first-fill bourbon barrels that have been charred to a higher level than usual. This extra flaming of the casks gives rise to sweeter and a slight smoky taste in the whiskey with concentrated flavours of vanilla, spice and tropical fruits. 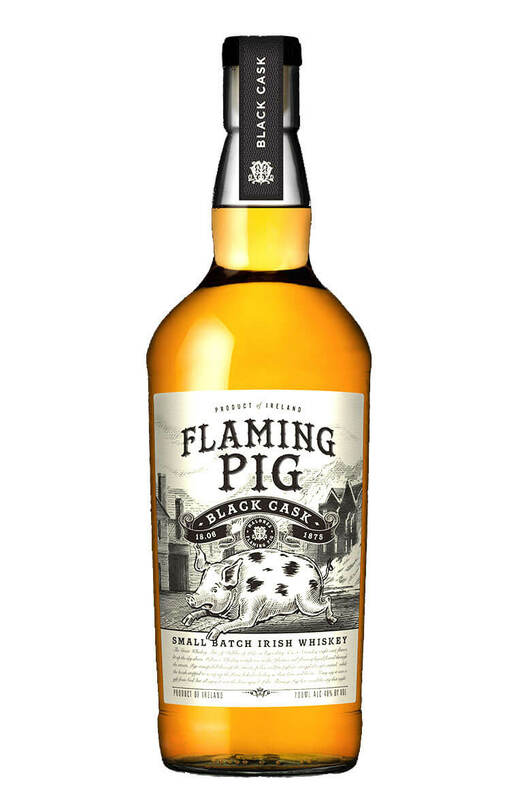 Flaming Pig combines crafted Irish whiskey with clove,cinnamon and black peppercorns for a spicy and..